Shooter BuckTM 3D Archery Target stops penetration COLD! BIG BUCKS OFF ! Practice makes perfect! Here's a realistic 10-pt. 125" Pope & Young 3-dimensional buck... a real shooter! Just what you need to hone your archery-shooting skills to become a regular Robin Hood, especially before hunting season gets going. Special closed-cell compression insert is 25% larger than comparable targets. Raised area simulates a real deer's heart, the vital take-down spot. The replaceable insert stops all types of arrows from field tips to broadheads and expandables... faster and more effectively than conventional target material. Plus it allows easy one-handed extraction and lasts much longer. The Deer Target is 31" at the shoulders. Ground stakes included. Seems these Targets were deemed to have slight cosmetic blemishes... but it doesn't affect performance. You SAVE HUGE! 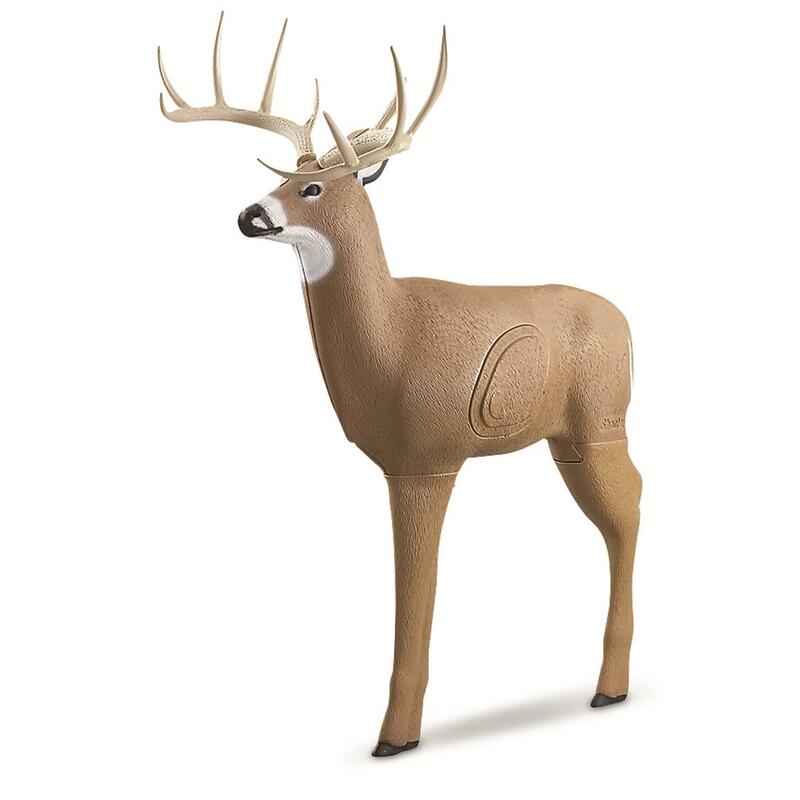 Shooter Buck 3D Archery Target, Slight Cosmetic Blemish is rated 4.7 out of 5 by 10. Rated 5 out of 5 by Aaron k from Awesome deal Great product at a cheap discounted price! Has “blemishes”, but doesn’t affect the target in any way. Easy to put together, sturdy in the ground, and arrows easily pull out of target. Very happy with the purchase! Rated 5 out of 5 by GREG / PAM W from Exactly what I expected, but I suggest showing the deer not mounted on the metal stand, because the stand is a special order accessory. To see the picture in the catalog it looks like it comes with the target. The buck did come with stakes to set it up for shooting. Rated 5 out of 5 by PETER W / CINDY from I am very impressed with this shooter buck target. It was supposed to be a second(Blemished) but other than a little nick the size of a dime on one ear I can't find a flaw. I am using it as a decoy and it looks like the real thing from 40 yards. I like it better than other targets costing $125 at local sporting outlets. A very good buy! Rated 5 out of 5 by LARRY from seems like a decent deer target, great price from S.G. Practice today, reap the benefits tomorrow.